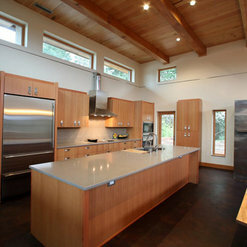 Sustainable Sedona is about beauty and inspiration, from cooktop to rooftop. 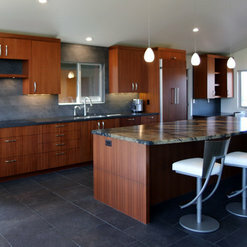 What truly sets us apart is 35 years of excellence designing single family dwellings - inside and out - new and remodel! We listen to what you want first, so the design reflects everything about you. We also lend you our expertise in sustainability for all things like space efficiency, water and energy efficiency, and timeless design to further your quality of life and to help planet earth. About your cost to build or remodel, we do all the work upfront to save on contractor change orders! The construction documents will be your best friend in the end. Paolo is professional, talented, thorough, creative, thoughtful, engaging, intelligent, and sensitive to our home's history and surroundings. It was true pleasure working with him. His taste is exquisite and his design for our home is timeless. We strongly recommend him to anyone seeking a fabulous home. Mike, thanks for your very kind words! 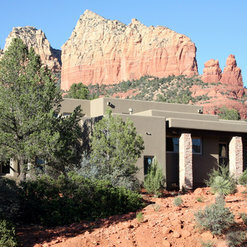 It was easy to work with you and Marian to transform your amazing home in Sedona. What a find you have there! I am just finishing my 3rd project with Paolo at Sustainable Sedona. He is so easy to work with. he is not locked into "his style". He listens to what you want and how the space needs to function and then he offers options. He is very open to feedback. This firm really understands that this is your space and work hard to get you exactly what you want - even if at the beginning you are not sure what that is! Execution of all my projects has been flawless because he does all the work upfront. What a wonderful experience it has been working with Paolo on the remodel of our house. He really listened to what we wanted & gave us such good advice. He is also very conscious of pricing which we really appreciated. His taste is impeccable! We are so grateful to have had him guide us through this project!! It was just pure pleasure to work with you and Dan. All the very best to you. 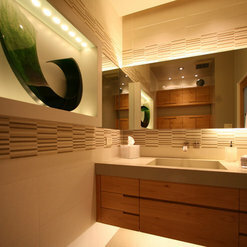 Re-designed our master bathroom which was old and outdated. 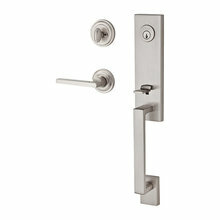 Listened to our wishes & recommended both quality contractor & quality products. Design was great. We would recommend Paolo highly! Thank you so much for the review! It was great working with both of you! Paolo is in fact one of the most thorough, detailed, and creative designers I have ever had the pleasure of working with. 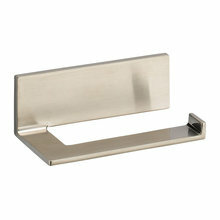 His designs are cutting edge, crisp, clean, refined, very well thought out all the way down to the last detail. Paolo is easy to work with, well versed in the design in and outs, understands how to make finishes work within their vast realm of possibilities, etc. etc. I could go on and on. 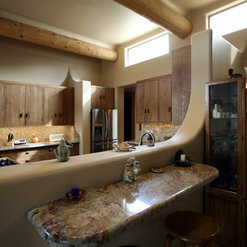 I would definitely recommend Paolo of Sustainable Sedona if you are thinking of a very nice custom, high end, project. Many thanks to BP2 Construction for a thoughtful review. This means a lot coming from a top notch General Contractor. 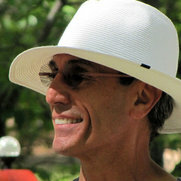 Paolo Scardina of Sustainable Sedona is an architect with whom I have worked on several projects. His professionalism and focus is exemplary. In dealing with clients and Homeowner Association board members, he is also quite a diplomat, knowing what to say and how to say it. Abundant experience shows in all aspects of his business from the subtle design details he brings to his projects, to the way he expresses himself in all forms of communication. Just a real pleasure to work with and I highly recommend Paolo whether you are a homeowner looking to design a custom home or a builder looking for a great architect. John, Thanks for the thoughtful review. The feeling is mutual. You are a true professional. Paul was a fantastic designer from project start to finish. I think the three biggest benefits I got (there were 0 drawbacks) were: 1. He is a very good listener, which resulted in me getting the design that suited me. 2. He is very knowledgeable, so he could both guide our discussions and produce a well thought out design. 3. He pays great attention to detail. I could give his drawings to my bidders with full confidence that they would have a clear understanding of scope. No one had questions about his drawings. I would work with Paul again in a heartbeat. Of course I've enjoyed working with you, too. You are always so clear about what you need and want. So we were able to move quickly and to the point with decisions. Thanks so much for letting me be a part of your house design! 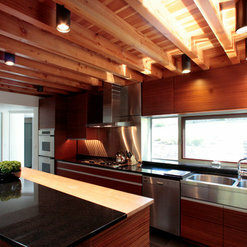 Paolo's company helped do an interior redesign of a home my wife and I purchased in Cornville, AZ. He and his partner, Ryan, were recommended by our realtor. We met and discussed what we needed and perhaps wanted. Paolo was very attentive and an excellent listener. He came back with some real interesting designs and possibilities. We negotiated where we wanted to go and meshed with his ideas for design. 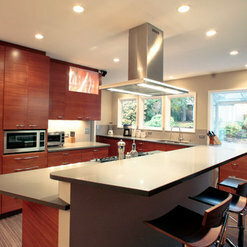 The construction took several months to complete (it was a 95% re-design - kitchen left for later.) His fresh ideas were quite a welcome from the standard and at times mundane. He walked us through his proposal and kept with us every step of the way as the projected evolved. The end result was fabulous, and it has been a joy living here. The seller's realtor came by and was totally blown away by the changes we ended up making. Thanks for the thoughtful review. 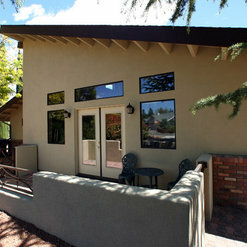 It was a pleasure to help you get established here in the Sedona area. You picked a great home with "good bones". 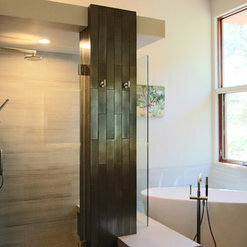 It was especially great to help get you and Mary Ann that wonderful master bath and floating tub! 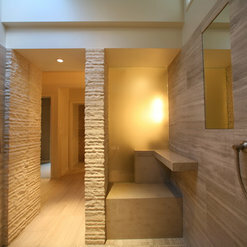 And thanks for the opportunity to create the second guest bath. It is nice that it can also serve as a power bath for your quests. I had an impossible kitchen floor plan in my 20-year-old house and was at a loss on a re-design. A friend recommended Paolo and he came to the rescue. He worked out a wonderful design under tough circumstances - we had to reuse the cabinets and incorporate them into the new design - not an easy task. The beautiful wood the cabinets are made from is no longer available and they had to be re-cut and re-purposed. Plus I wanted a splash of color. This is where Paolo especially shined gently guiding me away from bad decisions and making alternate down-to-earth suggestions. 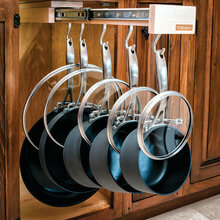 The measurements told me I was over-doing it and, again, he gently guided me back to reality, still incorporating everything I wanted in a kitchen but in a better work-flow. The end result is spectacular. I now have a workable floor plan than makes sense, is easy to work in, and makes me smile. Pam, thank you for the thoughtful review. Cook up a storm! 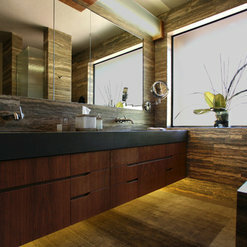 When you need a remodel done and need to consult with a design firm, Paolo & Sustainable Sedona are a fantastic choice. I would say the best choice, actually. Their attention to fine detail, knowledge of making the most of limited spaces and creating more space within limited quarters, Paolo has the knowledge and can do it all. He and Ryan, the whole team completely knocked it out of the park. His detail and knowledge of energy efficiency is what is needed in todays building market. Thanks again, Paolo! Thanks for the thoughtful review. I will never forget one of your first requests to "make this remodel as sustainable as you can". It was a privilege to get you to "LEED Platinum" Here is one of my favorite images of the fireplace surround with all the reclaimed materials. Sustainable Sedona (SS) applied their visionary skills to provide interior remodel plans for our home. Space constraints were a major issue for us yet SS was able to apply innovative techniques to provide maximum utility. Also we were seeking a contemporary style. The years of experience SS bring allowed them to select appropriate wood species and complimentary hardware resulting in a very modern look. Also SS did a stellar job integrating appropriate lighting to the plan. The result........SS helped us turn a house into a home. Highly recommended. Thanks so much for the thoughtful review. You brought so much passion to the process. It is clear how much you value how a dwelling can influence your life and your family. It was a pleasure to look at it together from the outside in and the inside out. I've attached a rendering of the model for grins. It fits the Sedona landscape so sweetly. Commented: What type of drain is used behind the slot do drain the water?This was a custom drain in a custom sink. Work with your plumber for the functions you would like. Commented: What is the exterior paint color?it is a custom color and the photo is not an exact representation. The goal was not to compete with vegetation or the red rocks. Commented: What is the counter material - type and color? 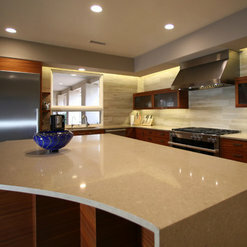 ThxEngineered quartz, Ceasarstone, concrete. Commented: What is the counter material - type and color? ThxGranite selected from a local granite warehouse, may not be available in your area.